There are 18 Memory Care Facilities in the Prairie Village area, with 2 in Prairie Village and 16 nearby. The average cost of memory care in Prairie Village is $5,600 per month. This is higher than the national median of $4,650. Cheaper nearby regions include Leawood with an average starting cost of $4,877. To help you with your search, browse the 62 reviews below for memory care facilities in Prairie Village. Better rated regions include Leawood with an average rating of 3.5 out of 5 stars. Caring.com has helped thousands of families find high-quality senior care. To speak with one of our Family Advisors about memory care options and costs in Prairie Village, call (855) 863-8283. Prairie Village is a city of more than 21,000 people in the Kansas City metro area where seniors make up nearly 20 percent of the population. Some of these seniors are part of the 53,000 seniors in the state that are estimated to have Alzheimer's disease, as per Alzheimer's Association. Facilities that are capable of caring for these seniors are known as Assisted Living or Residential Health Care Facilities. There are two facilities that provide memory care in the city of Prairie Village. 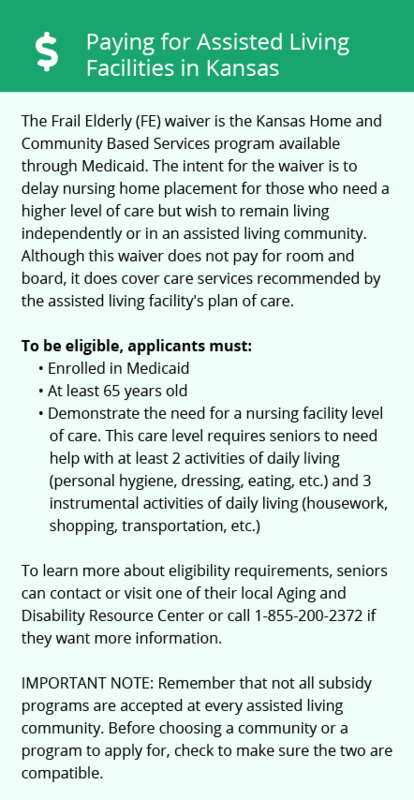 Paying for a residential healthcare facility can be a challenge for families. Unfortunately, the state of Kansas only offers modest tax benefits for seniors. Income from social security is partially taxed, and income from private pensions and retirement accounts are full taxed. The cost of living in Prairie Village is slightly above average compared to the country and surrounding communities. The climate in Prairie Village features very warm summers and cold winters with average rainfall and below average snowfall for the country. Families may want to check that their memory care facility has working heating and cooling for the comfort and health of their loved ones. According to the American Lung Association, Prairie Village gets an A for both ozone and particle pollution. Families of seniors should feel confident that their loved ones in memory care facilities will breathe clean air. Violent and property crime in Prairie Village are both below the national average. It's also lower than in Kansas City itself and the entire state of Kansas. While seniors should feel relatively safe in the city, families may want to check what security features memory care facilities have. Kansas City is home to world-class medical facilities, including those specializing in brain health and dementia care such as the Alzheimer's Disease Center at the University of Kansas, in the event of medical emergencies or illness. Memory Care costs in Prairie Village start around $5,600 per month on average, while the nationwide average cost of memory care is $4,798 per month. It’s important to note that memory care rates in Prairie Village and the surrounding suburbs can vary widely based on factors such as location, the level of care needed, apartment size and the types of amenities offered at each community. To see a list of free memory care resources in Prairie Village, please visit our Assisted Living in Kansas page. 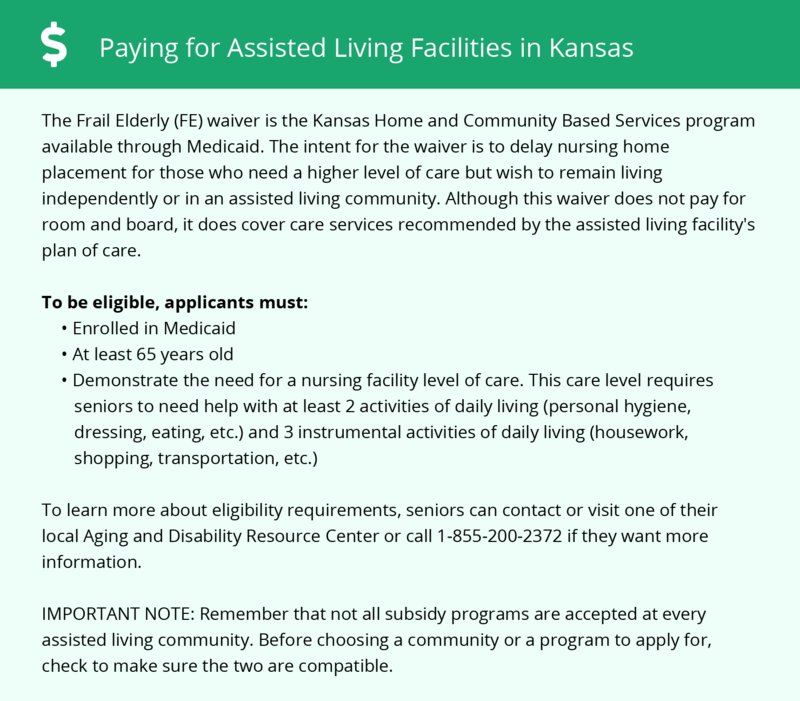 Prairie Village-area assisted living communities must adhere to the comprehensive set of state laws and regulations that all assisted living communities in Kansas are required to follow. Visit our Memory Care in Kansas page for more information about these laws.